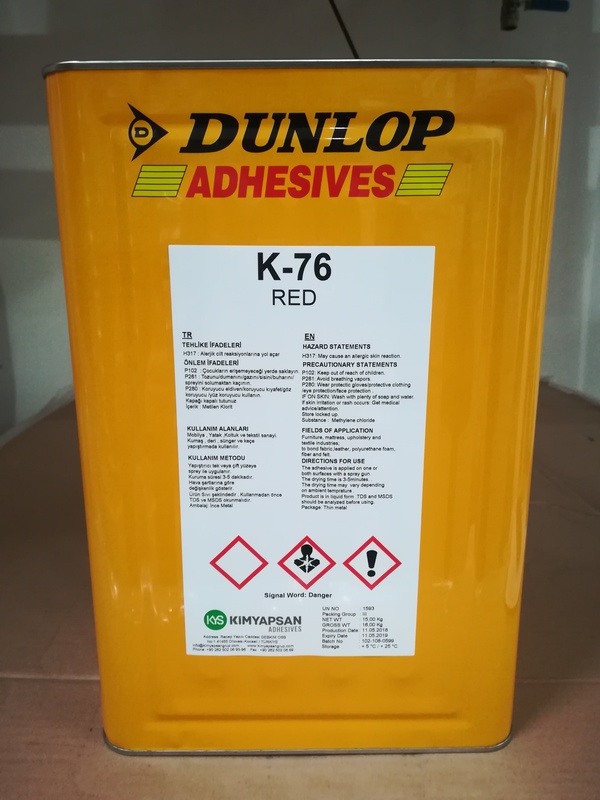 Solvent based synthetic elastomer adhesive. Applications: It is mostly used in bedding - matters, furniture and upholstery industries. It is produced for bonding wood - foam, felt - felt, felt - quilted material, felt - non wowen, foam - foam, foam - quilted material, foam - felt, foam - non wowen. Package: Tin 15 kg / Barrel 225 kg / IBC 1000 kg.